Join the #VisaFreeAfrica movement and help us reach 4,000 signatures this year! 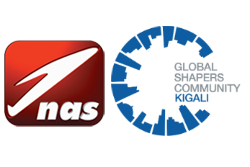 #VisaFreeAfrica is an initiative organized by the Kigali Global Shapers and powered by National Aviation Services (NAS), a leading aviation services provider. For the past 30 years, Africa has attempted to address free movement. Still, travelling across the African continent continues to be quite challenging. Every day we hear stories of African citizens who could not attend a conference, a business meeting, or accept a job offer and prospects of a better career simply because they could not meet the visa requirements of one of the African countries. The #VisaFreeAfrica petition is part of a continental effort to ease the visa procedures across the continent and promote freedom of movement.